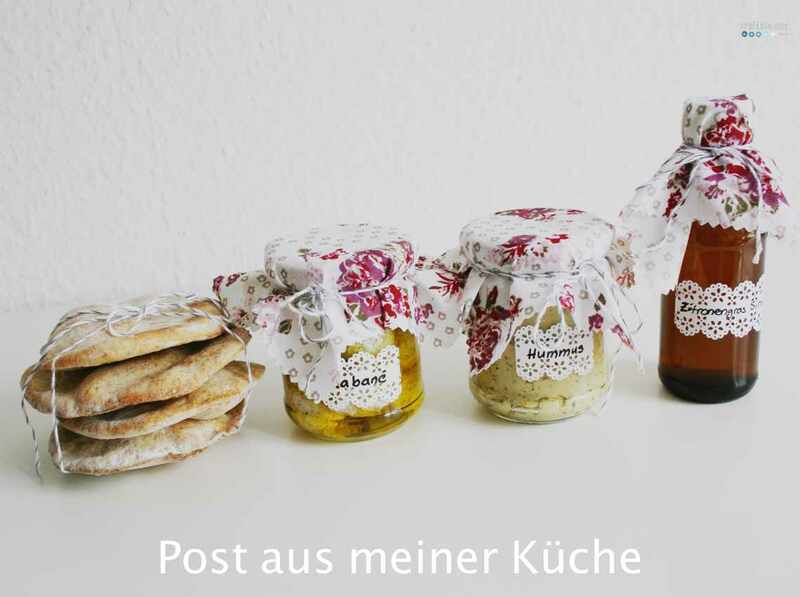 its my third time I am part of the mail from my kitchen (Post aus meiner Küche) happening. This time the topic was “Sommer im Glas” meaning “Summer in a glass”. Of course it would have been easy to brew up some fancy jam (and I do have a few recipes) but I felt like everyone would be doing that. Then the next idea crossing my mind was chutneys. Weeeelll, while I love the possible combinations I have never understood for what I would use them. So no. Then I remembered some hot days in Israel. During the 90’s I had the chance to visit that country three times. But all the wonderful sights, country and history is nothing worth if the food wasn’t lovable too. We did a lot of picnics when being out with my family and the easiest thing was to go the open air markets or the super markets and grab some hummus, this jar of white cheese and a stack of pieta bread. 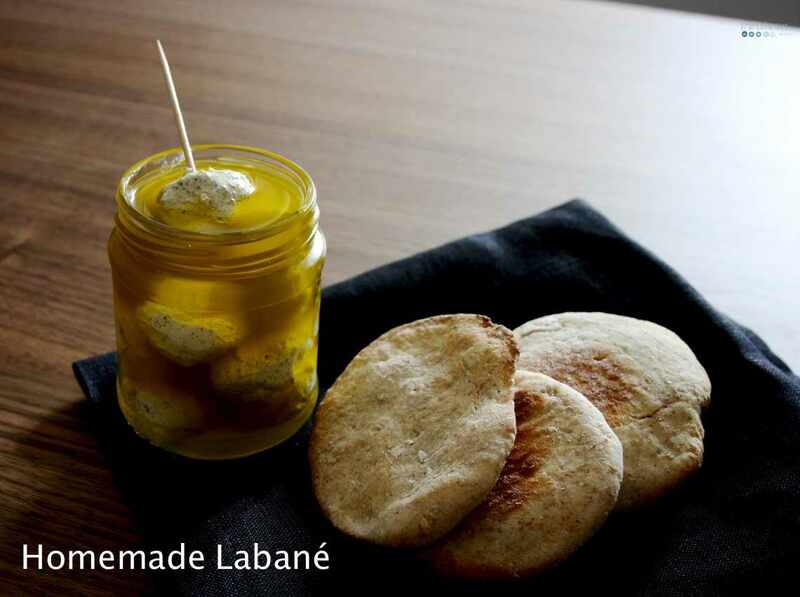 We all loved loved loved the white cheese called Labané! It had a sour fresh taste to it and was something we’ve never had. We fell in love. And our mission began – to figure out what that was and how to get/make it at home. One day on my last trips I walked down a spice market and came by a big sack of spice called Labané. So that was this secret ingredient? A blend of spices! I bought a lot. Hauled it back to Germany and my mom started experimenting. Here is the recipe for you. I have seen this spice at the market at Maybachufer in Berlin but you might find it in oriantal delis and stores. Mix the yoghurt together with the rest of the ingredients (except the oil to cover). Line a large bowl with a double layer of sterilized muslin, leaving plenty of material overlapping the sides. Pour in the yoghurt mixture. Tie the ends of the muslin together. You could hang it up over the bowl. I usually put the muslin in a sieve and have that sit in a bowl. Much easier to handle. Leave to drain, in a cool place such as a larder or an unheated room (6-8°C) for 2-3 days in winter or 2 days in summer. I usually stick it in the fridge. 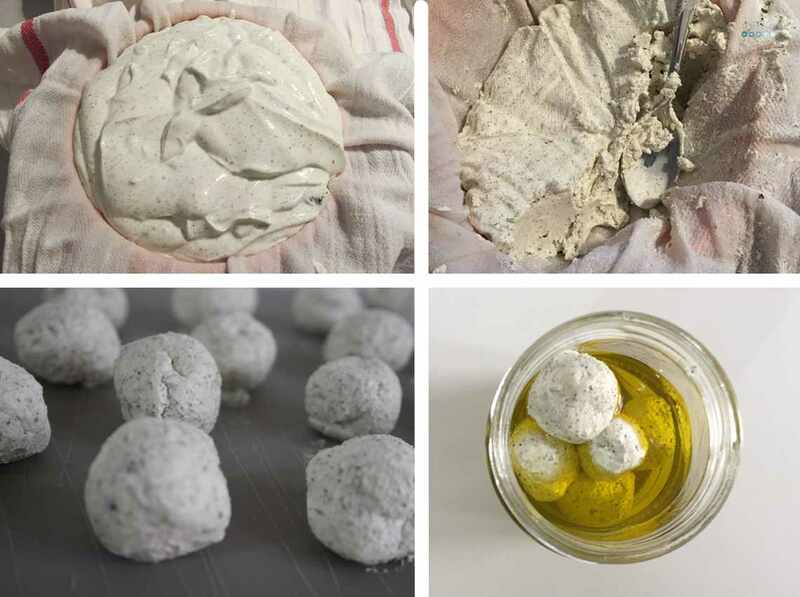 Shape the resulting cheese into small, 2 1/2cm balls and arrange in a wide mouthed, sterile glass jar. Cover with oil, making sure that there are no air pockets and the cheese is completely covered with oil. The cheese is ready for immediate use and will keep for up to 6 months in a dark cool place. Refrigerate after opening. 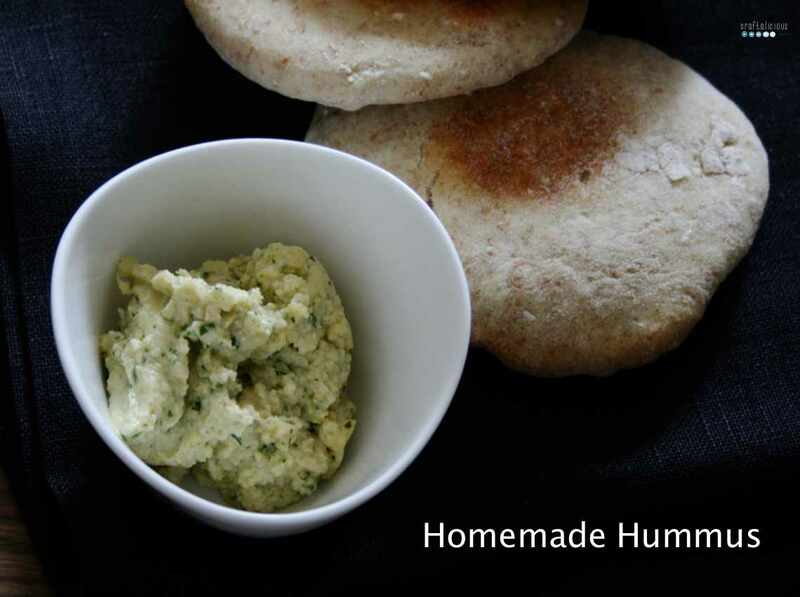 And as I have mentioned we also had hummus I figured why not make some homemade Hummus for missgliss my PAMK partner. Soak the chickpeas over night. Cook chickpeas in lots of water for 2 hours. Combine all ingredients (save half the parsley) and put in a food processor. If mixture is too dense you could add a bit of water. Mix until you have a creamy mixture. 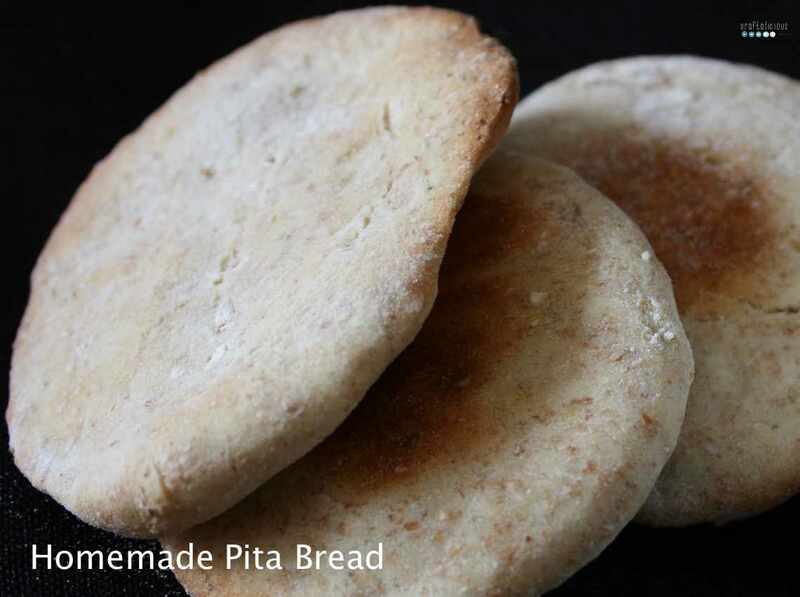 And then you need some pita bread to eat all the yumminess, right? Put the warm water in the bowl of a stand mixer and sprinkle in the yeast. Let it sit for 5 minutes. Mix in the oil and salt, and then blend in the flour. Knead for 5 minutes until the dough is soft and elastic. Let rise in a warm spot for an hour, it will double in bulk. Put the dough out onto a floured surface. Form your pita breads. I formed a round ball, that way it is easier to roll out evenly. Roll out one of the pieces of the dough into similar sizes and put on a baking tray. Cover the breads with the kitchen towel loosely and let them rest at room temperature for 10 minutes. Bake the breads for approx. 7-9 minutes. And of course I was lucky enough to get a little something too. 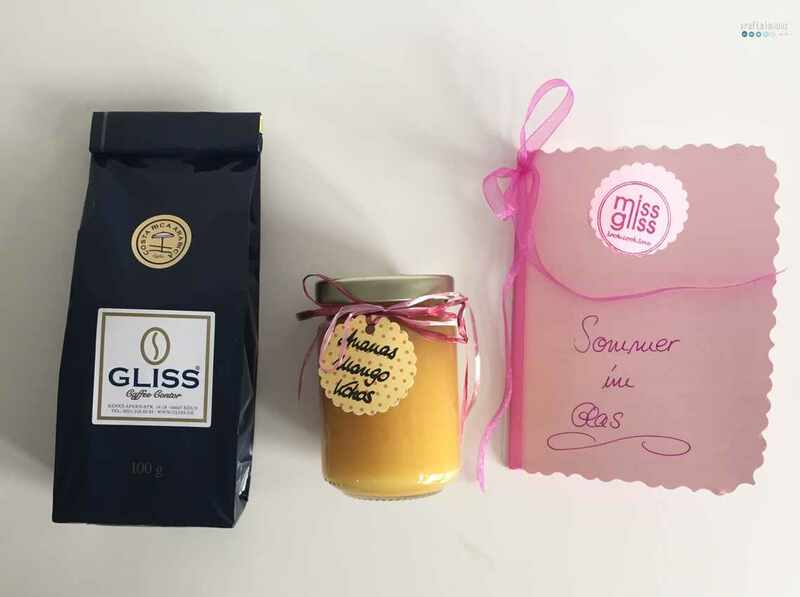 Claudia aka miss glass sent me this lovely smelling breakfast kit with coffee and pineapple-mango-coconut jam. So here you have it. My canned summer in a glass jar. Let me know if you try one of my recipes. 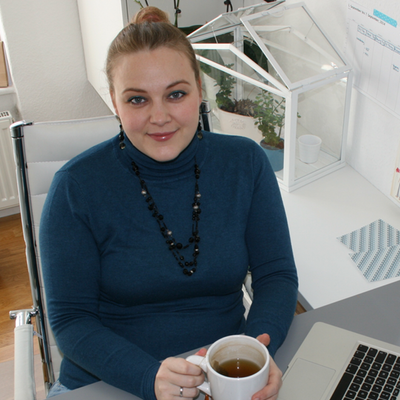 Du hast immer so viele schöne Ideen danke für die Inspiration.